This is where knowing what flavors go together are a benefit. A can of plain tomatoes plus molasses if you are hankering for barbeque flavor, tomatoes and garlic/oregano/etc. for Italian, or even a jar of salsa on top turns it Tex-Mex. If you just want a gravy-type sauce, go easy on the liquid. For soup, add more. Some of the fun is experimenting. Usually the best results are using the "eh, that looks good!" method of measuring. Of course, because if you have no idea what you did, you'll never be able to replicate it! Most of these dinners get served with a salad (green or fruit) and some bread, making the meal an easy one for the cook. A crock pot braises food (braise means to cook gently in a small amount of flavorful liquid) which makes it excellent for "sturdy" pieces of meat, like pork shoulder or chuck roast, that need long, slow cooking in a moist environment. Not only is a crock pot a time saver, but also a money saver, because you can use cheaper cuts of meat and have them come out as tender as the most expensive ones! Here are some of our favorite slow cooker recipes. Crock pots aren't just for dinner! Breakfast in a crock pot is great. It's like having an automatic breakfast pot! 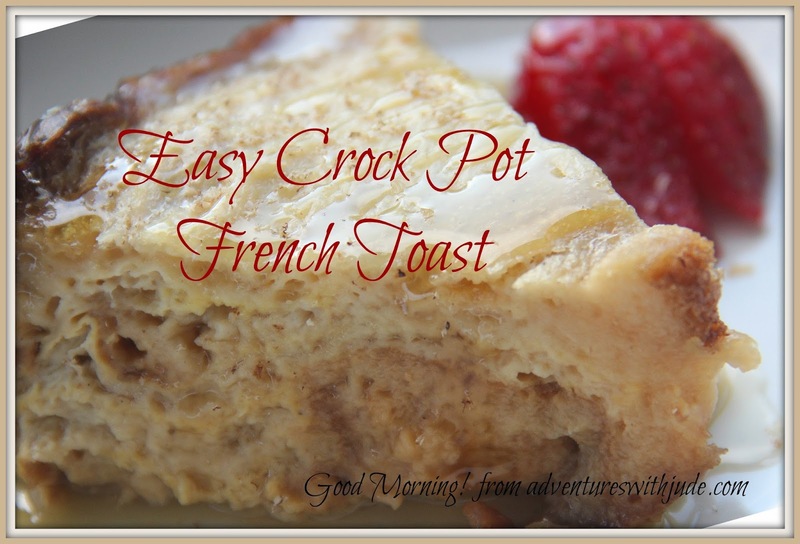 Crock Pot French Toast is a great one for feeding hungry boys. Our large crock takes up a whole loaf of bread, so that means we may even have enough leftover for a second morning! 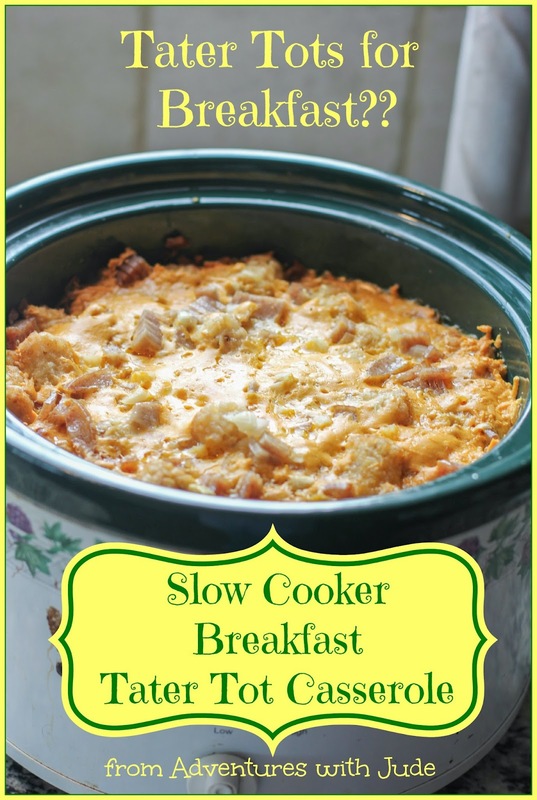 Tater Tot Casserole is a favorite dinner around here, so we decided to try it in the crock pot for breakfast. Verdict: Breakfast Tater Tot Casserole is equally awesome. Chili is always popular in a slow cooker. This one uses just three ingredients - bacon, ground meat, and salsa! 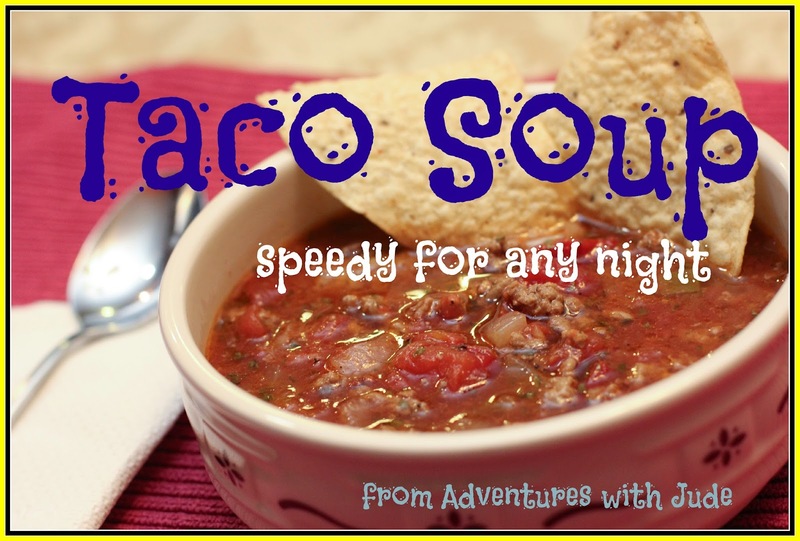 This brothier Taco Soup is an alternative to chili. This recipe made on the stove, but it easily converts to a crock pot, especially if you freeze your ground beef already cooked. Put the meat in the cooker, top with the tomatoes and spices, and then set it until dinnertime! Ok, ok, so scrapple isn't done TOTALLY in a crock pot. You do need to finish it on the stove, because you need your water at a full boil in order to make your corn meal set up. However, the bulk of the cooking for the pork is done by stuffing the biggest pork shoulder you can find into your slow cooker. What are some of your favorite recipes? Share them here and we'll add them to our to-make lists on Pinterest! 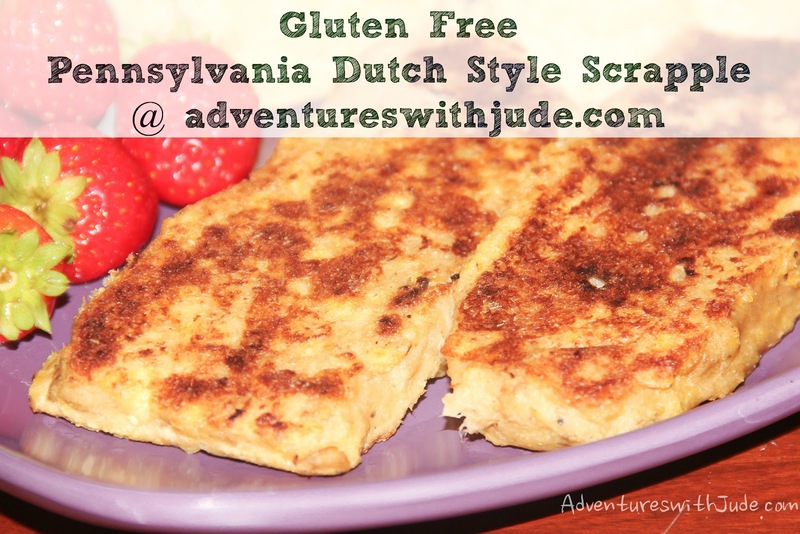 Follow Meg @ Adventures with Jude's board Crock Pot Breakfast & Sweets on Pinterest. 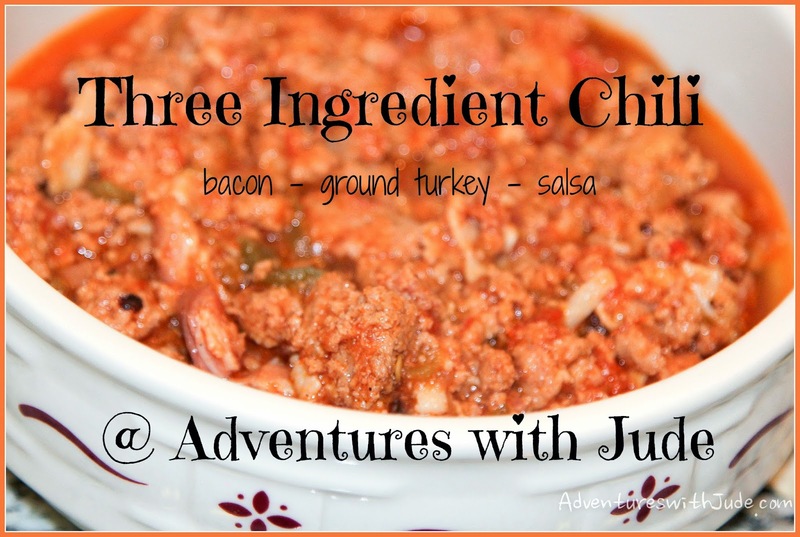 Follow Meg @ Adventures with Jude's board Crock pot lunch and dinner on Pinterest. Find out what other Crew members are putting in their crock pots!